Unlike the scenarios that could be found until a few years ago, the classic and traditional phones are giving way to more advanced smartphones. Despite this, the mobile phone market still has a share of 60%. Very simple to use (in principle, principle immediate and fast), collected again a great success, especially among those users who need a terminal exclusively for phone calls, send text messages and in some cases, send e-mail. Now the choice falls on two types of terminal cost, the classic phones, feature phones (we’ll see later what they are) or dual SIM devices (which allow you to have two SIM on the same cell and then have two different phone numbers). As always, each user has their own tastes and differs compared to others, but in any case, those looking for a mobile phone has almost always needed a product by the size and weight (candybar style but not only), which allows sufficient autonomy but is especially resistant to shocks or falls. If the first choice was difficult about which bands should operate (ie the possibility to use the phone in Europe or in other continents), but now almost all the phones are quadband (or quad) and allow you to make calls anywhere in the globe. The only difference now is in so-called traditional mobile phones (or devices that allow you to call, send text messages, etc., and use a proprietary operating system) and feature phones (ie terminal characteristics very similar to smartphones, with proprietary operating systems, but that allow more functions than traditional phones). Although part of the same category, the differences are substantial: those who buy a traditional cellular (the numeric keypad or a maximum QWERTY keyboard below the screen or sliding) does not care much to the display (quite limited, small and certainly not the touchscreen) and can be thought of as an optional bluetooth (to use a wireless headset), but will not have an interest in installing programs (also because it is often not possible). Something else instead of the user who wants a feature phone: these will need to complete a terminal (or almost), which allows browsing via Wi-Fi, for example (using protocol WAP or HTML), which is compact but more generous than traditional devices. If for traditional mobile phones, there should be no problem (they are more or less the same, changing only the receipt, strength and materials used), the feature phone for the speech begins to be a bit complicated. Every manufacturer has its own proprietary operating system, which differs from the others in functionality and characteristics (for example, now use the Nokia Series S40 on feature phones and in the future perhaps Melterni). Many have the ability to install applications, and some have a rudimentary multitasking. As for the classic phones, multimedia features stop at the chance to listen to the radio (often integrated in the headphones), view some pictures or attachment sent via mms, and in some sporadic cases use the rear camera to take some pictures to send maybe via MMS. Things are different for feature phones instead are often equipped with rear cameras discrete (usually from 2 megapixels and above). They offer the ability to view videos and photos, plus read PDF and TXT readers with integrated multimedia. Without forgetting then listening to music (perhaps through MP3) or what is even more interesting interaction with social networks, advanced e-mail, chat and rss reader (in addition to being able to play video games interesting and often a market for more specific applications ). If the classics phones the most we can expect is a connectivity GSM and / or GPRS, and Bluetooth, the speech in this case changes when it comes to featuring phones. We will find an available Wi-Fi module, connectivity (for data transport) that almost always comes with EDGE (and in some cases even 2G GPRS) and a bluetooth stereo version with EDR, not less than 2.1. Do not miss hardly ever even the presence of a USB connector to download or upload data, and of course, an SD card reader to expand the internal memory. The only feature phones that use a higher connection (eg 3G), are the products of Chinese’s exports (which often use a proprietary operating system entirely in Java), but that it is inadvisable to use, because of the material but do not always live especially for non-compliance with emission standards. Some mobile phones and much more feature phones are equipped with a slot for the use of dual sim (feature phones allow the simultaneous use), which allow you to have two different phone numbers (and different operator) on your terminal. What is the Choice Mobile Phone? As said earlier, the choice is subjective, it depends on what use we want to do and what are our real needs. In principle, anyone who owns a smartphone of the last generation, is inclined to buy a traditional mobile emergency call or in the event of running out of charge (in some cases the receiving of classical phones is still the best). A traditional cell has a low weight (no more than 80 grams), a low footprint, a life in stand-by or call significant (more than 7 hours). Do not underestimate the strength: strength that withstands bumps, drops and sprays often despite receiving or wet considerably resume operation once dry as if nothing happened. Those who want a feature phone, has the need for a complete or almost always reduced by the cost (in this case less than $100 for the version dula sim). The resistance, but the possibility of having a multimedia sector and connective let not regret a smartphone evolved (at least for daily needs: update social networks, SMS, MMS, chat, e-mail, etc.). In this case, the dimensions and the low weight are slightly sacrificed to the present functionality (many integrate a sliding QWERTY keyboard or below the display), as well as the duration of the battery which has a duration greater than 6 hours. Technological advances have led to replace the previous categories of products (such as PDAs or pocket PC) and introduce new types of devices: smartphones are part of this new category of devices. Let’s talk about mobile terminals that combine the functionality of a traditional mobile phone (calls, SMS and MMS) to the typical characteristics of a production system home (computers, for example). Of course, all this with due caution, but in principle, allowing to perform all typical operations (both work and leisure), which previously could only run on a computer (evolution has led to integrate multiple features in smartphones, to turn them into GPS navigators, media players and handheld consoles). Given the functional introduced, unlike younger siblings (phones and feature phones) costs considerably levitate, while paradoxically diminish the strength and durability (especially because mobile operating systems are not always used in new versions allow it to be installed on terminals dated, making the product less ” cool ” and in some cases limited in functionality). The choice of a smartphone, can vary according to the needs of a user, but mainly based on the budgeted expenditure (although it is true that the top end of the range and not allow to be purchased by operators even at no cost, ensuring a monthly charge for a certain number of Euros for a certain number of months). It is also true that smartphones in principle, can be summarized in three main price categories: low-end, midrange and high end. Until last year, it was not always convenient to buy a low-end device, now this type of product offers an interesting experience even on a budget (of course you can also think of buying a product that last season was high-end and average and that surely will now be dropped in price). Anyway, we must always keep in mind one thing: unless of falls, fractures or serious damage, even if you cannot have the latest version of the mobile operating system, the terminal will continue to operate, and all software will be compatible (except for rare cases) even with past versions (the pursuit of the ultimate hardware or the latest software release, nowadays it becomes just marketing, because often you cannot take advantage of that little of the ” power ” this on smartphones). Which operating system. One of the most important things in choosing the right smartphone is the mobile operating system that they have installed. Depending on the software, we will have a different approach and in some cases even different prices, even with the same hardware configuration. One of the parameters that often holds court in discussion forums and blogs, is the presence of software available for that platform (free or paid). Often this need far exceeds the demand for real power, because in these ultim the years we have had the proof that you can have a mobile operating system superior to its competitors, but if you do not support third party is intended not to break through the market (just to see what was going on until a few years ago with Nokia and its Symbian). To contend for the mobile market are Google with its Android (on a par with Apple and its iOS installed on the iPhone), followed by Nokia with Symbian (Anna and Belle in new incarnations, not to be confused with the old Symbian OS, S60, etc. ), and Microsoft’s Windows Phone 8 and finally RIM with its BlackBerry (set to last given the type of product and the market to which it is addressed, not to mention the dire straits in which they found in 2012 ). A smartphone is often chosen for the display, since, thanks for the power of the new terminals you can watch movies, TV series, play games and run applications that only a few years ago we used on our home computer or office. Of course depending on the terminal it is possible that the display of various sizes and technologies used. With the exception of Apple and its iPhone 4S (3.5 inch display), all manufacturers for almost all products using top of the line display ranging from 3.7 inches up (Google with its Nexus has opted for a display of 4.65 inches ). Samsung, for example, uses the Super AMOLED and Super AMOLED Plus HD, the Nokia ClearBlack AMOLED Apple the retina display, the HTC S-LCD display while the LG HD IPS. The choice of the display is often subjective, depending on the technology you point to emphasize a characteristic perhaps at the expense of an other. In any case, it is good to have a terminal that has a display of 400 to 600 nits (or brightness, which takes as a yardstick to 800 nits, which is a value that allows you to see perfectly even with a direct light source), a dpi (dots per inch, or physical density of points) of at least 200, which then allows you to have an overview of texts and images as if they were almost real (as if you were watching a print on paper). Then each technology as mentioned has a different yield: some emphasize the dark. Others emphasize the colors. Others have a higher brightness, etc. (it is a good rule to try them in person or follow our tests to make the type of product). A smartphone that you re rests must also have good connectivity: generally, all the products on the market have a Wi-Fi module (configuration a, b, g, n which also allows sharing the connection with other devices), a GPS module with support A-GPS for navigation (as Android have some need for a wired connection, Nokia does provide free his navigation system off-line Nokia Maps), the bluetooth module (block and some manufacturers do not allow use for file sharing), a USB port that turns the terminal into a mass storage device and not just a form (NFC payments in the future. I’m going to replace the traditional POS for micro purchases, but that the even when all the high-end handsets have), DLNA or HDMI port to connect your smartphone to an external HD and has Wi-Fi Direct (not supported by many manufacturers and products that allows you to connect a smartphone to an other terminal directly, without using a wireless access point or horspot). Of course, today’s smartphones use for navigation or telephony UMTS, HSPA versions that allows theoretical download speeds up to 21 Mbps, HSPA up to 14.4 Mbps and UMTS up to 4 MBPS (ib midrange terminals and some of using low-end HSPA modules, even if the telephone operators do not always provide services at the highest possible speed from the device). As we mentioned at the beginning, now smartphones are replacing various devices such as media players (audio and video), GPS navigators, and in some cases begin to undermine the handheld game consoles. Not only that, thanks to the 8 megapixel camera and more, and optical approaching mid-range compact cameras, carry with us a versatile device. Thanks also to display new design, you can read on your smartphone documents in doc, text, pdf (sort of e-book reader), edit photos and videos directly on the terminal, etc. … Even in this case one thing to always keep in mind is that not always the amount of pixel cameras will give an optical quality, as for traditional cameras rely optimization software, optics and systems that allow you to stabilize and in some cases improve the quality of the photo. Nokia, for example, with its Nokia N8 (12 MPX) and Carl Zeiss optics are considered the best camera phones in circulation, following a par or nearly so, from the Samsung Galaxy S2 and iPhone 4S (of course in 2012 these competitors will present new optics, as well as the competition HTC, LG, Panasonic, etc is going to present). In any case, it is always better to have an autofocus feature so you do not have photo moves (or moves too) and blurry. What is the choice Smartphone? One thing that we were taught today’s smartphones and their operating systems accordingly, that each product or each mobile system has its own specifications. Android, for example, is almost always equipped with processors enhanced version (something this generation of dual-core 1.4 GHz as the known galaxy in 2012 will come but the quad core tegra and not only), and Windows Phone 7 or Symbian processing power lower (Apple does a little race if even if it follows the trend of Android). The fact is that the choice of processor and ram will be screened (perhaps to a greater durability) is not based on the comparison between different platforms, but within the same ecosystem (eg Symbian has a more powerful GPU as the system operating massively uses hardware acceleration). For the rest, except for a few rare cases (which is part of the terminals of the low-end or average), the smartphone will be full touchscreen and it will not have a QWERTY keyboard or numeric keypad (except for RIM). As always, the choice will depend on your needs, budget and available and the desire to rely on the community for possible updates provided by hardware manufacturer (in any case it is always good to follow news, analysis and testing of Tecnozoom, to remain informed and to have clear ideas). 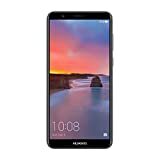 1 Huawei Mate SE Factory Unlocked 5.93” - 4GB/64GB Octa-core Processor| 16MP + 2MP Dual Camera| GSM... 1,755 Reviews $249.99 $219.99 See Offers! 2 Samsung Galaxy S9 Unlocked Smartphone - 64GB - Midnight Black - US Warranty 1,653 Reviews $719.99 $599.94 See Offers! 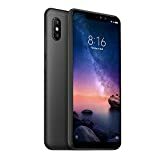 3 Xiaomi Redmi Note 6 Pro 64GB + 4GB RAM 6.26" Dual Camera LTE Factory Unlocked Smartphone - Global... 143 Reviews $299.00 $213.00 See Offers! 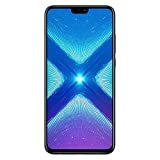 4 Huawei Honor 8X (64GB + 4GB RAM) 6.5" HD 4G LTE GSM Factory Unlocked Smartphone - International... 192 Reviews $223.99 See Offers! 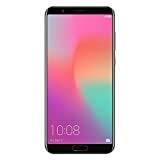 5 Honor View10 GSM Unlocked Smartphone, AI Processor, 5.99” FullView Display, 20MP + 16MP Dual-Lens... 214 Reviews $499.00 $394.99 See Offers! 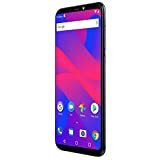 6 BLU Studio Mega (2018) S910Q 16GB Unlocked GSM 6" Dual-SIM Smartphone, Black 87 Reviews $69.99 See Offers! 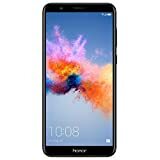 7 Honor 7X GSM Unlocked Smartphone 5.93” FullView Display, 16MP + 2MP Dual-Lens Camera, Dual SIM,... 1,396 Reviews from $222.00 See Offers! 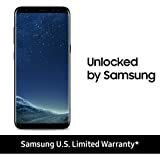 8 Samsung Galaxy S8 Unlocked 64GB - Midnight Black [US Version] 1,797 Reviews $599.99 $418.00 See Offers! 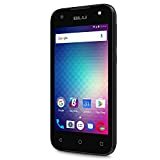 9 BLU Advance A4 -Unlocked Dual Sim Smartphone -Black 1,272 Reviews from $59.99 See Offers! 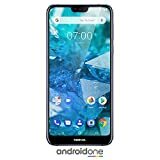 10 Nokia 7.1 - Android One - 64 GB - 12+5 MP Dual Camera - Dual SIM Unlocked Smartphone... 225 Reviews $349.00 $299.00 See Offers!